Express your creative flair with our latest trend for Spring/Summer 2018. The Expression home collection is all about letting go and showing off your unfiltered personality with bright colour, fun patterns and geometric designs. We’ll show you how to use this trend in your home with our quirky home accessories and bright wall decor. Our clever use of colour is perfect for giving your home an uplifting feel when you walk through the door. Wooden drawers are a great way to bring pastel accents into your room décor and keep your desk supplies organised. These lovely drawers are perfect for storing jewellery or any loose bits and pieces. 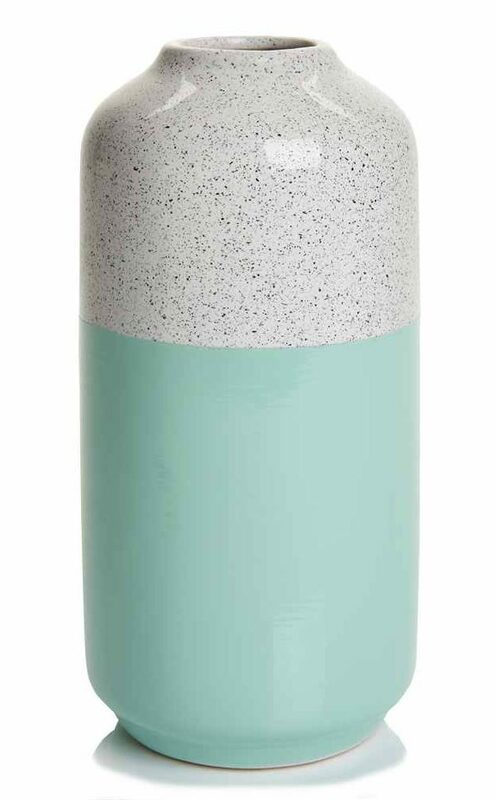 Combining a pop of aqua with a modern speckled print, our Aqua Speckled Vase complements pastels, metallics and geo prints perfectly. It’s great for showing off a fresh bunch of flowers but looks just as good as a stand-alone piece on a bedside table. Pair with our Aqua Speckled Tea Light Holder for the complete look. 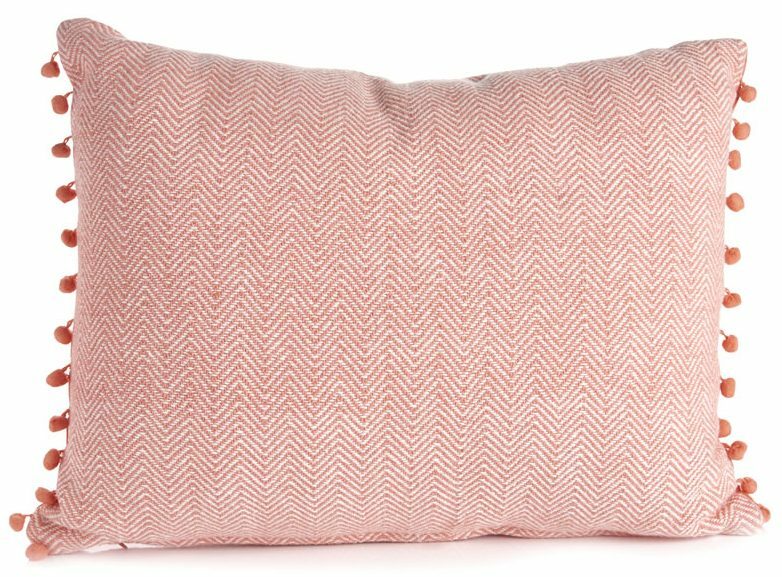 Brighten up a living room or bedroom with our HerringboneThrow and matching Herringbone Cushion. Vibrant coral and tassel details instantly cheer up a space. Add them to a bed or a settee for an instant cosy feel, then add the final touches with our Gold Home Word Block. Display in any room to give a homely feel. 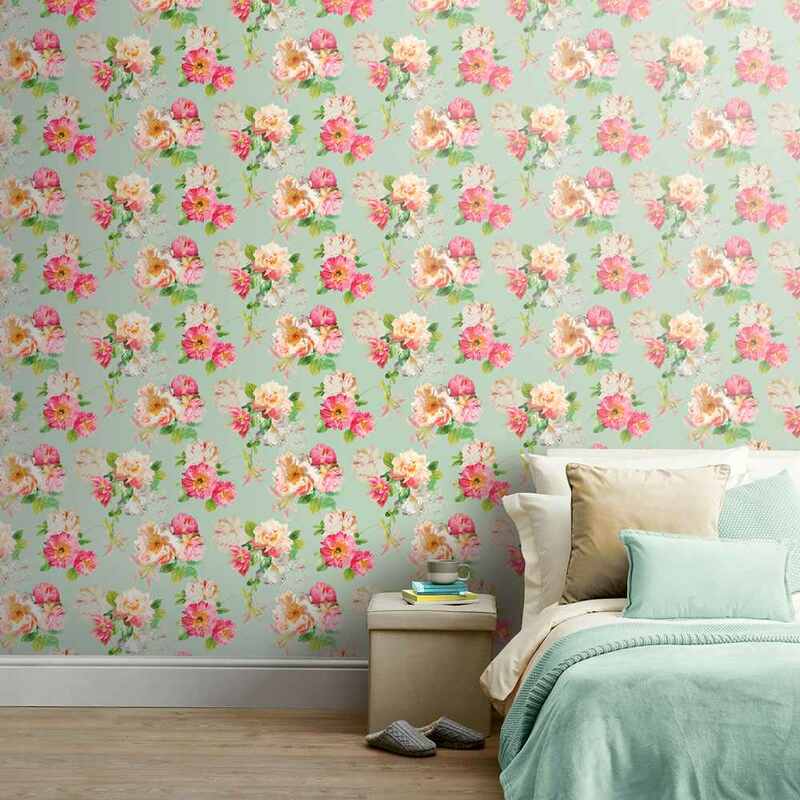 Make the most of the Expression trend by using pastel colour on your walls as well as your home accessories with our range of wallpaper and paint. Give your bedroom a relaxing feel with our Lilac Matt Emulsion Paint and combine with Arthouse Hello Gorgeous Wallpaper for a sophisticated feature wall. Alternatively, our Mint Crisp Matt Emulsion Paint complements the stunning floral design featured in Arthouse Elena Duck Egg Wallpaper for a fresh and uplifting feel. It’s as simple as that! 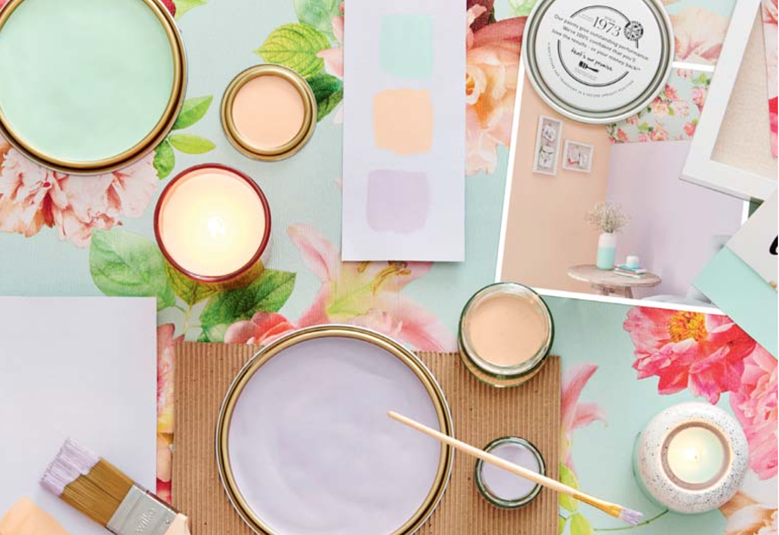 These are three ways you can can express yourself with colour and home accessories. We’d love to see your interior design creations on our Twitter, Instagram or Facebook pages.